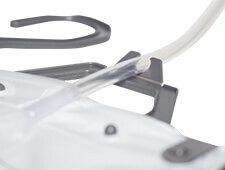 The FlexiHang bag hanger is a uniquely designed universal 2 litre urine bag hanger for use on beds fitted with or without side bars. FlexiHang can also be secured between the mattress and bed frame on a divan bed. The ridges incorporated into the hook section of the hanger will provide a positive grip keeping the hanger and bag in position. 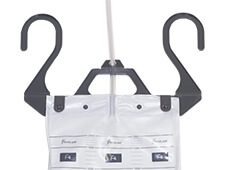 The hanger holds the urine bag firmly in place with two snap-fit locks and secures the outlet tube in a vertical position to ensure good flow to the bag. Clips snap shut firmly to keep the urine bag in place. Ensures the tube is kept in an upright position. 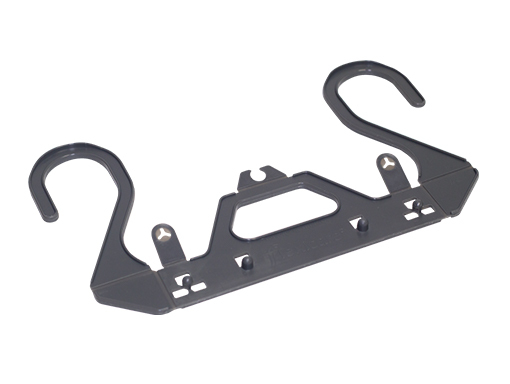 Enables you to hang from a bed frame, or use the grooves to hold onto your divan without slipping off.